We are a step closer to a final decision on League Entry from the Camanachd Association following recent events. The Association’s Competitions Committee submitted a paper which recommended that we be retained in the league, subject to consultation by the Association with clubs and the Referees’ Association. The Board of Directors met on 28th September and agreed for the consultation to go ahead with a final decision to be given at the next Board Meeting which will be at the end of November. We believe that we have made an excellent case for retention. 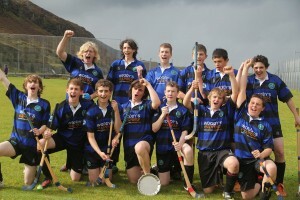 Shinty is a sport transformed in the Western Isles and with a burgeoning youth set-up in Lewis and Harris, a developing fundraising program and good support from our community of sponsors, including Harris Tweed Hebrides, the Independent Mortgage Shop and WJ MacDonald Butchers, we are entrenching shinty in the community. We also have the excellent facility that is Sgoil Shiaboist, which has been praised as one of the top shinty pitches in the country by none other than Hugh Dan Maclennan. Our results on the park this year compare favorably with the debut seasons of other new clubs in the past ten years. We also fulfilled all our away fixtures with at least a full complement of 15 in our squad. We would like at this juncture to thank all the clubs and officials who we met this season, for their hospitality when we visited and for making the effort to travel to Shawbost for our home games. It was greatly appreciated and we hope that we are given the opportunity to compete again next season and retain our place in the shinty family. A particular thank you to those clubs and referees who have already sent their best wishes. 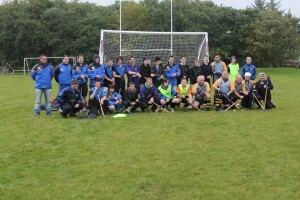 Saturday 24th of September was a great day for youth shinty in the Western Isles with teams from Lewis, Harris and Uist meeting in a six a-side competition at Tarbert for the inaugural Causeway Shield. Camanachd Leòdhais A were the eventual winners of a good tight competition which saw the new Harris team only squeezed out of second place by Uist Camanachd A on goal difference. The final game was between Leodhas A and Uist A and this acted as a final with Connor Chalmer’s double and Paddy Sinclair’s solo effort the difference as Lewis won their first piece of youth silverware for many’s a year. The full results and standings are below but the following are noteworthy. Daniel McFadden top scored with five and these all came in the one game against Uist B for Lewis A. The Hearachs only conceded one goal in the whole tournament, so perhaps they could teach the Lewis first team a thing or two! Stuart Morrison and the lads have a lot of potential. a great result for a first tournament. Uist’s Ewen Campbell player of the tournament.. Thanks to all the referees, coaches and organisers as well and here’s hoping for more tournaments such as this in the coming years. Camanachd Leodhais – Intercontinental Champions! Whodathunkit? 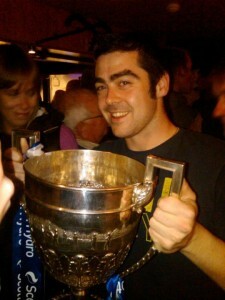 Only days after getting our hands on the Camanachd Cup, we then go and ensure that we can claim bragging rights as Champions of the World after beating our friends from Northern California Camanachd. The weather wasn’t the best but we managed to win 4-2 with Donald Lamont scoring 2 and Craig MacLeod also grabbing a brace. Paddy played for the Americans and scored as did Michael Bentley. Read more about it on the Gazette website. On Thursday, the NCC held a ceilidh in the Nicolson Institute then Diablo took them around the island to see the sights and sounds. We hope they enjoyed their visit and we hope to see them soon over here or over there. It's alright Marie, I got Seumas a new baby bath whilst I was away! What better way for the Newtonmore boys to end 25 years of hurt and the vanquishing of their greatest rivals than to party on down with Gaga, Conor, Dukey and the Camanachd Leodhais dancers? Supposedly the Balavil has never seen the like, and seeing as The ‘More have got a hundred years head start in terms of victories in the Scottish, we’re happy to lend them the trophy for another 25 years or so. Which is around when Dukey should resurface. A warm welcome awaits the new Scottish Champions if ever they take the ferry over, so watch this space! 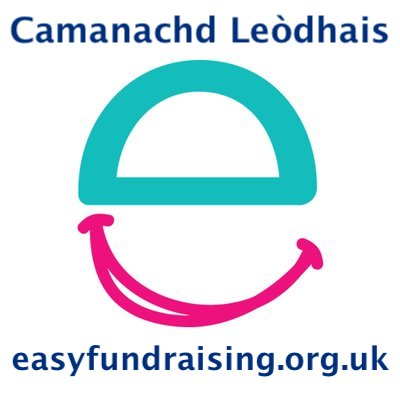 Lewis defeated Northern California Camanachd 4-2 at Bayhead on Wednesday 21st September, Donald and Craig scored two each (which pushes Donald into the top scorer) and Paddy scored for California. Well done to both the Nicolson Institute and Sir E Scott Schools on a well fought game, 3-2 to the Niccy last week in Tarbert. Daniel McFadden, Connor Chalmers and Ryan McCafferty scored for the Leodhasaich and Stuart Morrison and Brendan Latham scored for the Hearaich. Great to see the Harris boys compete well and it bodes well for the future. Good luck to both Lewis and Harris teams this Saturday against Uist in the Causeway Shield. 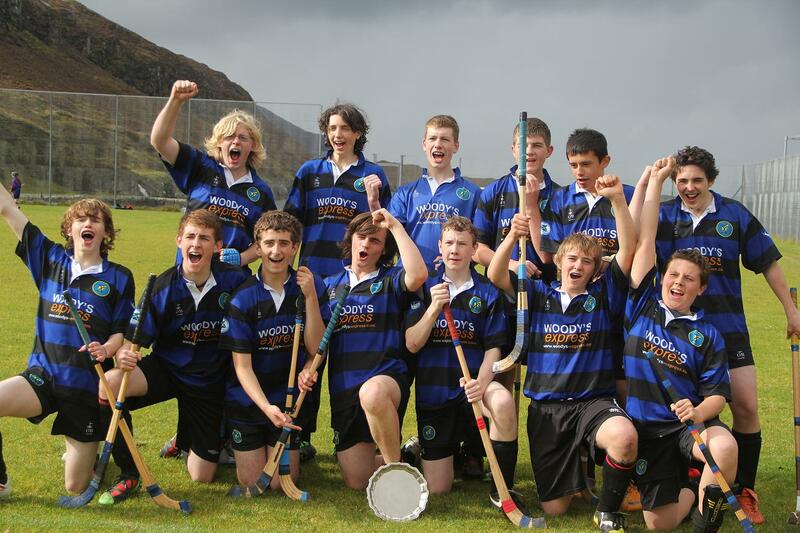 Causeway Shield 11am, Saturday 24th September, Battery Park, Tarbert. Camanachd gu leor a’ dol fhathast! 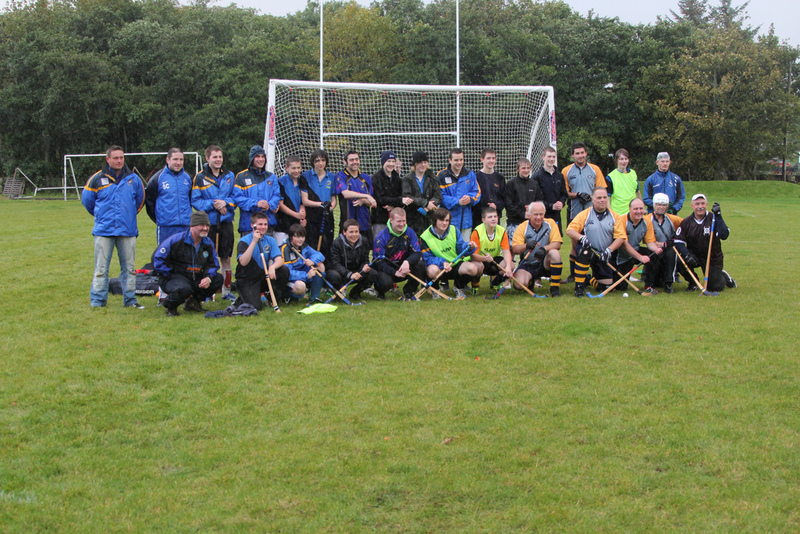 Plenty of shinty on the go even though the league season has come to an end. First up is the first ever Sir E Scott V Nicolson Institute shinty match of the year (indeed ever), which will take place in Tarbert on Friday 16th September at 2pm. Then on the Saturday, lots of the boys are away to the Bught Park to hold back Dukey if he gets out of control whether Newtonmore win or lose! Actually we hope to have a big presence to ensure that we stay in the minds of the Camanachd Association in the lead up to the decision on league entry. If you are travelling to the game, wear your club colours and encourage any neutrals you know to do the same. Turn the final Blue and Black! Then on Wednesday 21st September we are playing the Northern California Camanachd Club (& a few ringers from Skye) in an International Challenge Match – this is the first time they have been over to Lewis so get along and play or support the club, starting at 6pm at Bayhead. Then on the Saturday 24th the first Causeway Shield between Lewis, Harris and Uist at youth level will take place in Tarbert, starting at 11am. Senior players should try and get along and help out with refereeing etc. All in all its nice to be busy with the Mod Cup on the horizon on the 15th of October.